How do you feel about the summary? 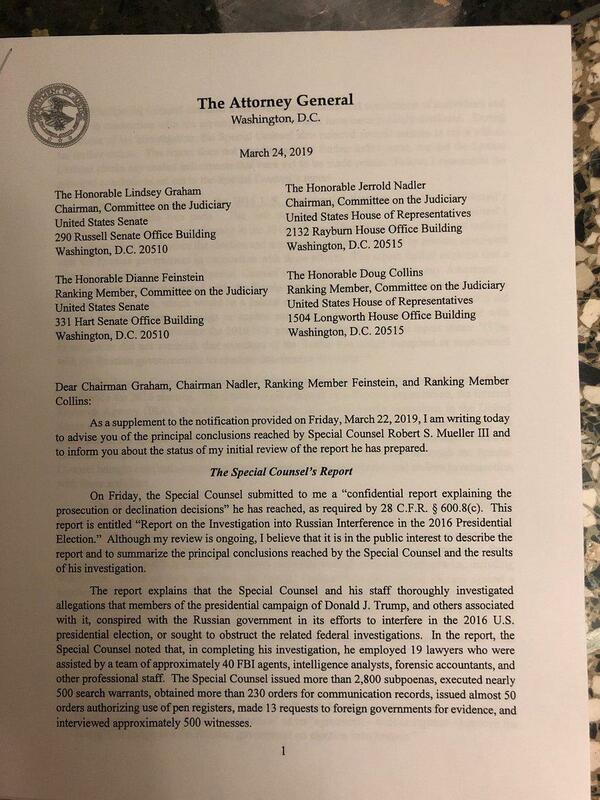 Attorney General William Barr has provided Congress and the public with his summary of the "principal conclusions" from Robert Mueller's report into his investigation of possible collusion between the Trump campaign and Russia during the 2016 presidential campaign. 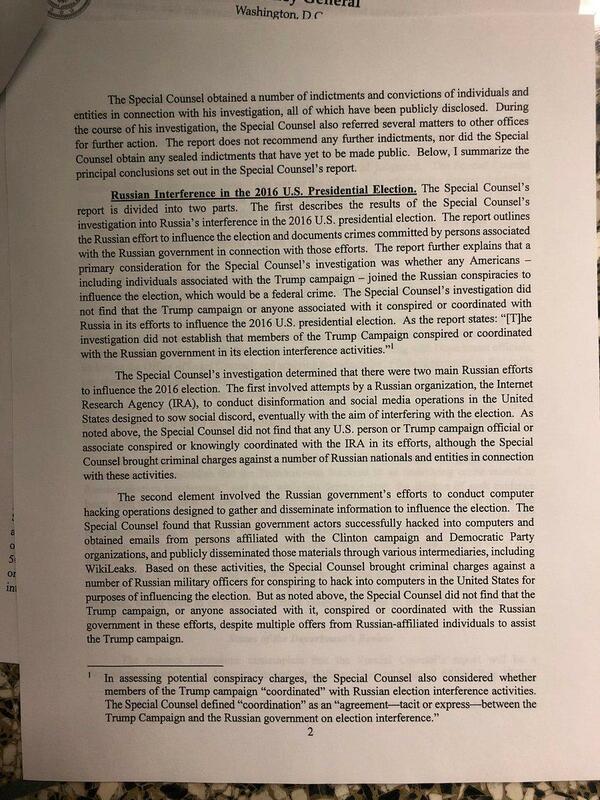 “The Special Counsel’s investigation did not find that the Trump campaign or anyone associated with it conspired or coordinated with Russia in its efforts to influence the 2016 US Presidential Election. As the report states: '[T]he investigation did not establish that members of the Trump Campaign conspired or coordinated with the Russian government in its election interference activities.'" "The Special Counsel's investigation did not establish that members of the Trump campaign conspired or coordinated with Russia in its election interference activities." 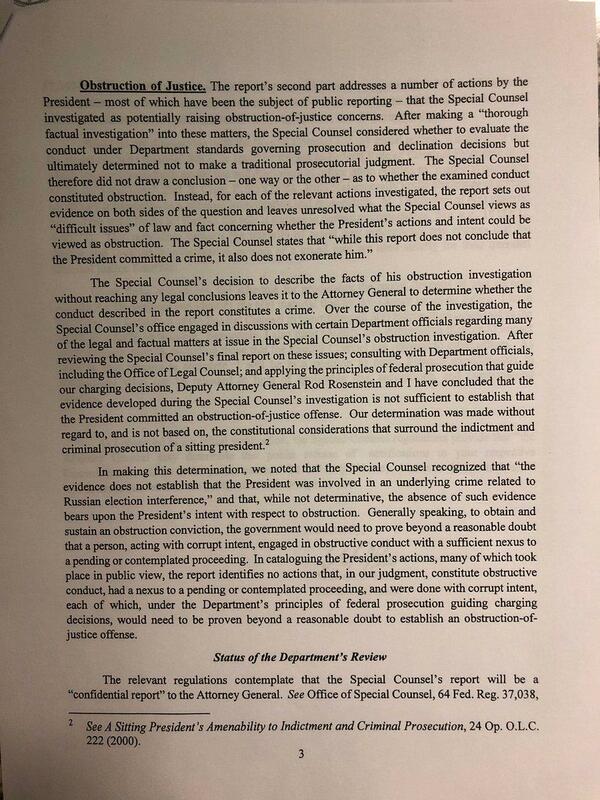 Barr: the evidence gathered in the special counsel’s investigation was “not sufficient to establish that the President committed an obstruction-of-justice offense." 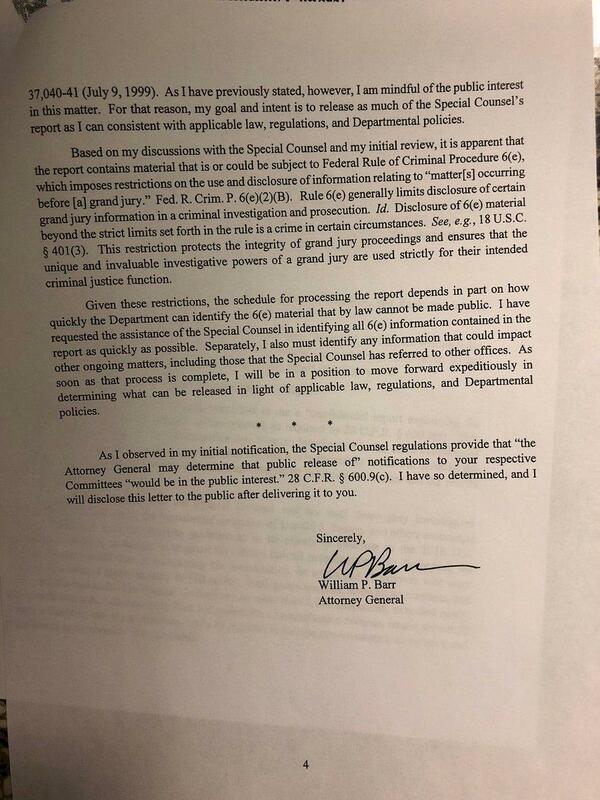 "The Special Counsel's decision to describe the facts of his obstruction investigation without reaching any legal conclusions leaves it to the Attorney General to determine whether the conduct described in the report constitutes a crime... After reviewing the Special Counsel's final report on these issues; consulting with Department officials, including the Office of Legal Counsel; and applying the principles of federal prosecution that guide our charging decisions, Deputy Attorney General Rod Rosenstein and I have concluded that the evidence developed during the Special Counsel's investigation is not sufficient to establish that the President committed an obstruction-of-justice offense. Our determination was made without regard to, and is not based on, the constitutional considerations that surround the indictment and prosecution of a sitting president." This story is being updated. See what your government is up to around the issues you care about, sent straight to your inbox. The DC: Confederate Memorial Day, and... ⚖️ Do you support impeachment proceedings against Trump? How Do You Feel About Confederate Memorial Day? Do You Support Impeachment Proceedings Against Trump?